Tips for Adding Fall Color! Want to add some fantastic fall color to enjoy for years to come? 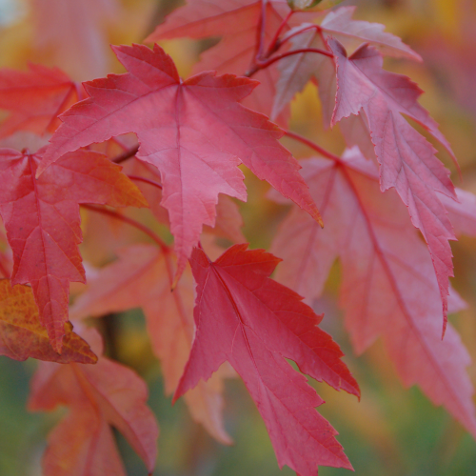 * Maple trees: different varieties peak at different times. The best fall fireworks include plantings that are several layers deep and include multiple kinds of plants. Mix it up with bulbs, ground covers, annuals, perennials and grasses. Be sure you have a good backdrop to add contrast. Dark evergreens or a deciduous tree that turns a different color, or even your house can serve the purpose. You will get the most vivid fall color if you choose to plant in a location that receives at least 6 hours of sun a day.